The hype train for Nintendo’s upcoming team-based shooter, Splatoon, is chugging right along. First with one last Testfire demo before the full release and then a full-fledged manga based around it, it seems that Nintendo is doing all they can to promote the game. 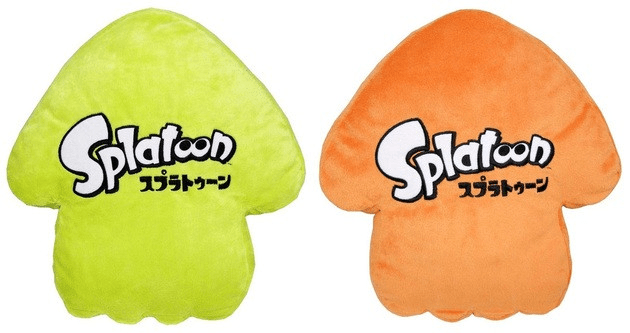 In continuing with this trend, Nintendo will be releasing a pair of Splatoon-themed squid pillows, set to hit stores this July. 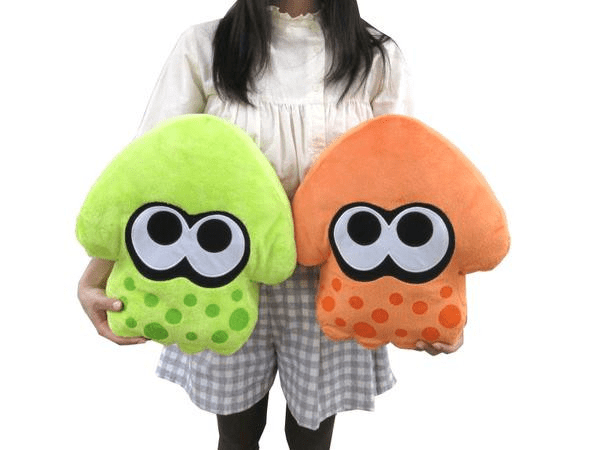 Shaped like the squid transformations that players use to quickly swim through ink in the game, the pillows come in either green or orange. The pillows will sell for 2800 yen (about $23 USD) and will be exclusive to Japan, for the moment, at least. Hopefully, if the game sells well over here, the squishy squids may find their way across the Pacific. Anyone who tried out the Global Testfire a couple weeks ago should know how entertaining the game is, though. Of course, there’s always importing if you absolutely need them ASAP.